My year at the Music and Arts University of Vienna has come to an end and it has been a great experience! I am grateful to have performed in Vienna for the last 4 years being able to do what I love. Now looking forward to a bright future always keeping the SUN in my heart. The passion for music will always BE! 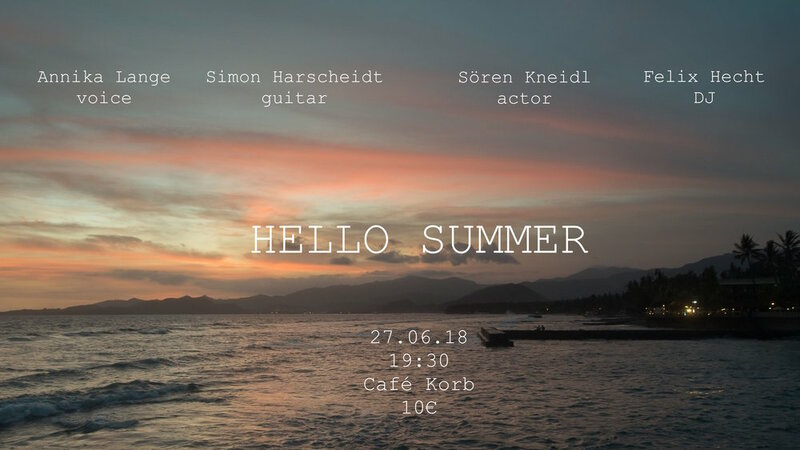 After a successful event "HELLO SPRING" at Café Korb in March, it's time to say "HELLO SUMMER" on 27/06/18! Enjoy your fresh beer, aperol or rosé while listening to chilled techno sounds by Felix Hecht, theatre monologues by Sören Kneidl and pop/soul music by Annika Lange. HOW MUCH ? 10€ & your smile! TIME TO WAKE YOU UP WITH SOME ART! On 23/03/18 I will be singing at Café Korb in Vienna (http://www.cafekorb.at) in cooperation with some other great artists! The jazz-pianist Juan-Felipe Pulido from Columbia and guitarist Simon Harscheidt will join me! 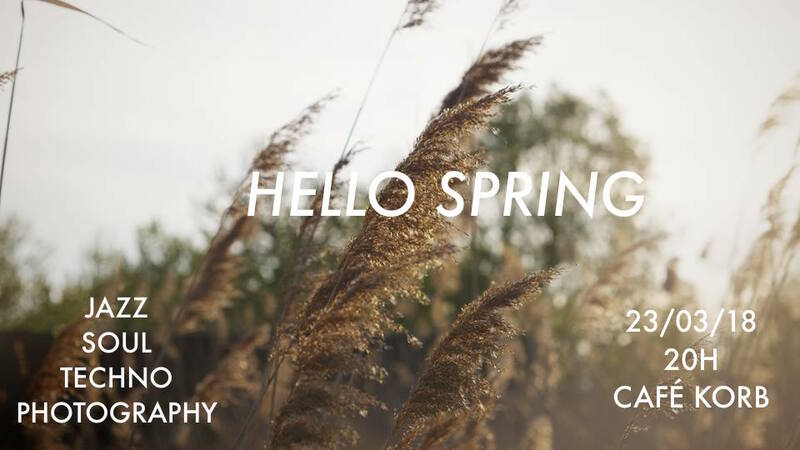 PLUS DJ & photographer Felix Hecht will delight us with his beautiful photography & plays some great tunes!